The Science Tribe are a proud people, many of whom display their allegiances on their skin in a dazzling variety of geeky tattoos. 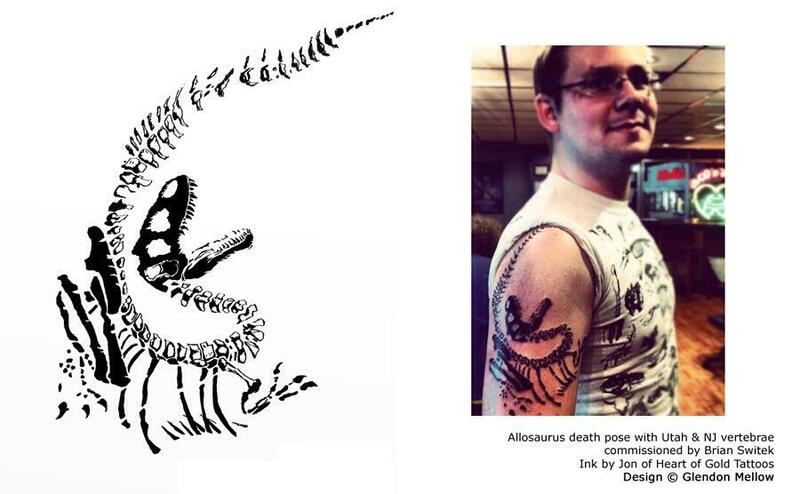 Science writers @Scicurious and @Laelaps, for example, both have cool tats designed by @FlyingTrilobite – a caffeine molecule and some dino bones. But there are those who fear the needle, or the commitment, of permanent ink. For them, The Vexed Muddler has created a new series of temporary science tattoos, available in her etsy shop. The Vexed Muddler (aka Peggy Muddles) is a biology lab tech by day, and she knows her microbes. You can chose from a variety of bacteria, a spiky virus and a classic DNA double helix. So be a trendsetter, wear your gut flora on the outside for a change. While you’re at it, you might want to accessorize with one of the Muddler’s lovely ceramic necklaces, in styles ranging from mitochondria to whipworms. This entry was posted in The Art of Science and tagged microbiology tattoo, science art, Science Ink, Science Tattoos, Vexed Muddler. Bookmark the permalink.